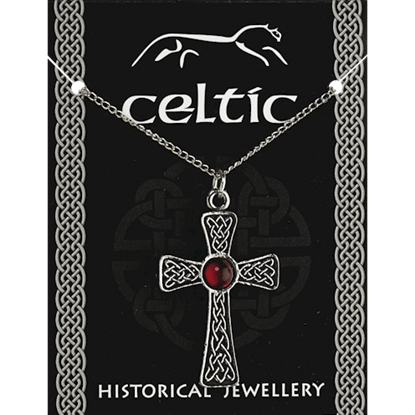 We offer a great selection of Celtic necklaces that can be worn by both men and women. 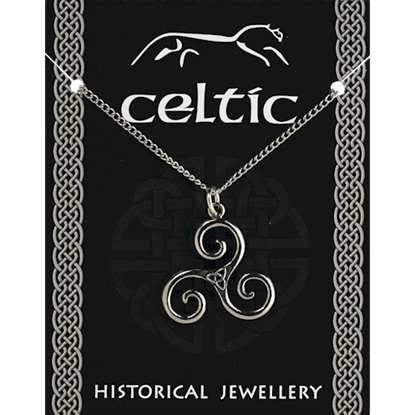 All our Celtic necklaces include a chain, often made of sterling silver, or a necklace cord for wearing. Some Celtic necklaces feature pendants with detailed Celtic knotwork, Celtic crosses, Celtic Claddagh, Celtic dragons, the Celtic Tree of Life. We also offer unique lockets that you can keep small treasures in, and so much more. 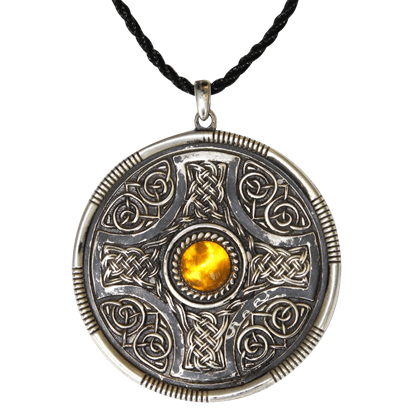 We carry a large variety of Celtic necklaces that are beautiful to wear with Celtic dresses or medieval outfits. Wear our Celtic necklaces at medieval events, Renaissance fairs, weddings or as part of your everyday look. Named after the predecessor to the mythic King Arthur, this Ambrosius Cross Pendant is a stunning accent that combines beautiful Celtic knots with the Celtic cross to form an accent that will leave almost anyone in awe of its design. 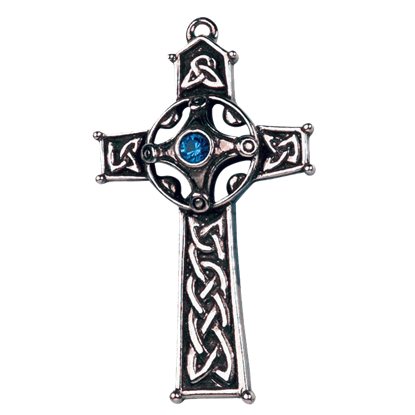 An elegant spiritual symbol of ancient times, the Celtic cross has continued in popularity to present day. The Ancient Celtic Gem Cross Necklace offers a lovely cross design with intricate knotwork and a colorful center gem. An icon found among historical carvings and artwork, the triquetra knot is one of the most popular Celtic designs. 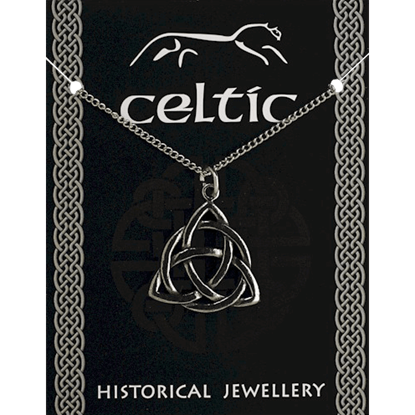 The Ancient Celtic Triquetra Necklace displays the interwoven knotwork with a ring fitted between the loops. The triskele, or triskelion, serves as a symbol of threefold concepts, such as earth, sea, and sky or past, present, and future. The Ancient Celtic Triskele Necklace features a classic triskele design with three curling arms. Germanic peoples and indigenous groups inhabiting present day Great Britain during the 5th century, the Anglo-Saxons exhibited their art primarily in the form of decorated jewelry like our Anglo-Saxon Warrior Necklace. 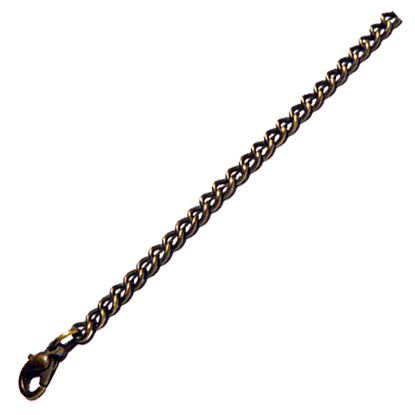 This necklace chain is made with an antique brass finish and will perfectly match any of our pendants that come in the antique brass finish. The perfect accessory to get with your new pendant. It has a lobster claw clasp closure. Its branches and roots twisting together in a never-ending circle, the Tree of Life is a meaningful symbol with Celtic origins. 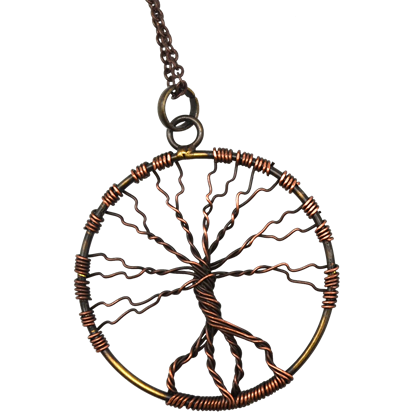 The Antique Brass Wire Art Tree of Life Necklace depicts the design in a beautiful, minimalist style. A lovely accessory is often the key piece that will make an ensemble into something astonishing. 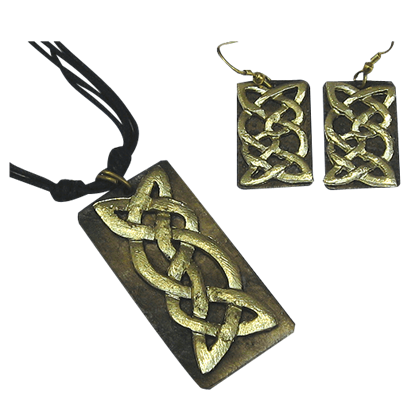 This Antiqued Brass Celtic Knot Necklace and Earring Set offers a hand-crafted look that is certain to be appealing. A lovely accessory is often the key piece that will make an ensemble into something astonishing. 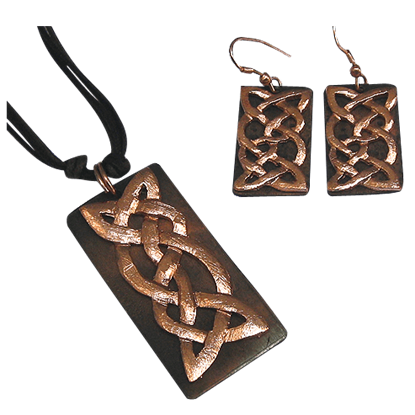 This Antiqued Copper Celtic Knot Necklace and Earring Set offers a hand-crafted look that is certain to be appealing. 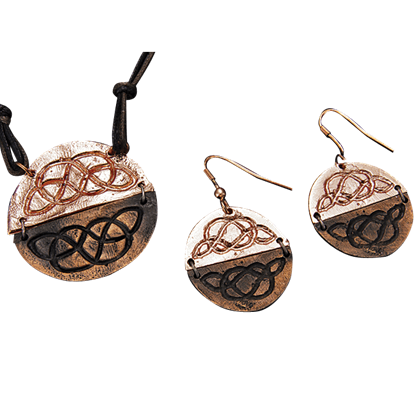 A duo of finishes in the same metal makes this Antiqued Copper Round Celtic Knot Necklace and Earring Set such a striking piece. Coupled with its artisanal style, this jewelry set is an easy accent for any lady to own and wear. The Celtic cross is more than just a potent symbol, serving also as a lovely accent for any lady to wear. 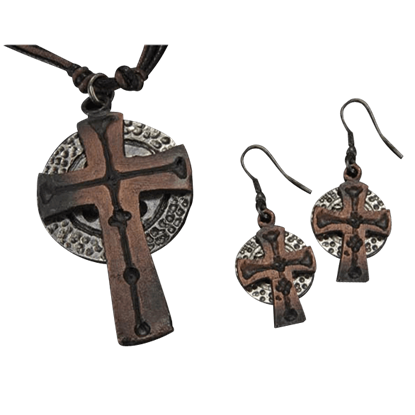 This Antiqued Silver and Copper Celtic Cross Necklace and Earring Set is a great way for any lady to show off this symbol. A lovely accessory is often the key piece that will make an ensemble into something amazing. 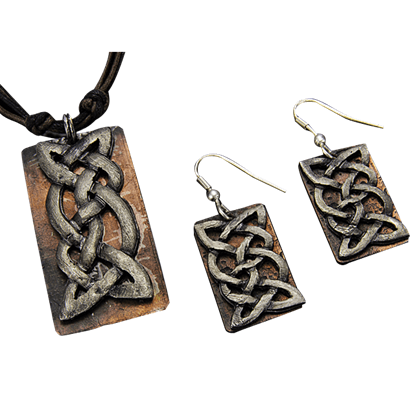 This Antiqued Silver and Copper Celtic Knot Necklace and Earring Set offers a hand-crafted look that is certain to be appealing.